Includes Butternut Squash with Walnuts and Vanilla, Peruvian Roast Chicken with Red Potatoes, Lamb with Garlic, Lemon, and Rosemary, Crustless Lemon Cheesecake, Maple Pumpkin Spice Lattes...and hundreds more! Slow cookers are lifesavers for busy cooks. But if you follow a gluten-free diet - due to celiac disease, gluten intolerance, wheat allergies, or simply for health reasons - slow cooking can be a challenge. That's because many recipes don't thicken properly without flour, noodles, or some other wheat-containing derivative. 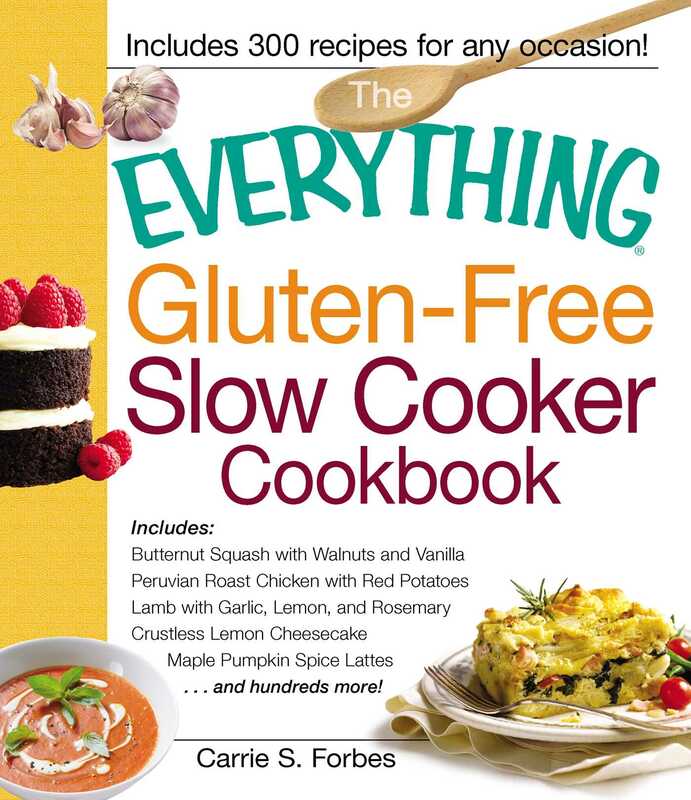 Enter: The Everything Gluten-Free Slow Cooker Cookbook. Complete with an array of gluten-free options, specialized slow-cooking tips, and advice on eliminating wheat derivatives, this fun and fresh cookbook has everything you need to create healthy, delicious meals - without spending all day in the kitchen!